Print the blank form and fill it out by hand. When filling-out the request form, make sure to include date, your name and contact information, the type of information you are requesting and the incident information to the best of your knowledge. Mail completed form to 17911 NW Evergreen Place, Beaverton, OR 97006 with a check or money order for the total fee. Requests will NOT be processed until the check or money order is received. If the information you are requesting includes Protected Health Information (PHI), you will need to submit a signed Medical Release Form. Please call the Audio Reproduction Specialist if you have questions about this process. You may be required to come in person to show government issued identification. Processing times can vary greatly depending on the type of information requested and whether or not the incident is part of an active investigation. Active Investigations will only be released with authorization from the District Attorney's office or upon order of a subpoena. There are no guarantees on processing times, so please plan accordingly. Cancellations - For cancellations, please contact 503-690-4911 x214 or send an email to audiorequest@wccca.com. Cancellations may be subject to processing fees if work has already been started on the request. For questions or concerns, call 503-690-4911 x214 or send and email to audiorequest@wccca.com; messages and email are checked periodically. Delivery - We provide two formatting options for information that we release; delivery depends on the type of format requested. Electronic Format - We can provide information in PDF and mp3 form. We will e-mail the data to the e-mail address listed in the request. Hard Copy - We can provide paper copies and compact discs containing audio. We will mail the data to the address listed in the request. Questions - If you have any questions please contact the WCCCA operator at: 503-690-4911, Monday through Friday between 8:00 AM and 4:00 PM. 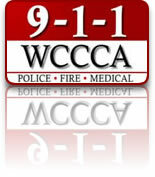 We are only able to provide information related to calls answered, handled and/or dispatched by WCCCA (Washington County 9-1-1). This includes recordings of phone calls, radio traffic, and Computer Aided Dispatch (CAD) information and reports. Other information related to an incident such as police reports or fire investigation reports must be solicited from the responsible police, fire or medical agencies. Please click here to see information on Public Records and what we can release. *An additional research fee will be required if you are unable to provide a 5-day timeframe for the incident you seek. This is a copy (paper or electronic PDF) of the Computer Aided Dispatch (CAD) incident that would include information such as: the date, time and location of the call, the call type, associated incident remarks, reporting party information, witness information, response times and who responded to the call. Related incidents - Occasionally there's more than once incident for an event. The $25 fee includes all related incidents that occurred within a 12-hour period. This includes a copy (paper or electronic PDF) of the Computer Aided Dispatch (CAD) incident as well as the related audio recording of the incoming 9-1-1 or non-emergency phone call that was answered for the incident. Related incidents - Occasionally there's more than once phone call for an incident. The $50 fee includes all related 9-1-1 and non-emergency incoming phone calls related to that specific incident. This includes a copy (paper or electronic PDF) of the Computer Aided Dispatch (CAD) incident, the related audio recording of the incoming 9-1-1 or non-emergency phone call that was answered for the incident (if they exist), as well as an audio recording of the radio traffic* that is associated with the specific incident that is being requested. *Radio traffic will be recorded on the main operational channel from the start of the incident until the incident stabilization or arrest time. On most incidents, units stay assigned to the CAD incident well after the incident has stabilized (typically to write reports, order tows, mop-up a fire scene, etc.) During that time there is rarely any radio traffic associated with the incident. If you request audio beyond the incident stabilization time, you will be charged for the additional processing time. Additional processing time is billed at $50 per hour, billed in hourly increments (with a 1-hour minimum charge). This includes a copy (paper or electronic PDF) of the Computer Aided Dispatch (CAD) incident as well as the related audio recording of the radio traffic* that is associated with the specific incident that is being requested. Each request includes up to 30 minutes of research time. If additional research time is needed to process your request, you will be charged additionally as noted below under "Additional Research Time". When we process research requests, you will receive a list of calls that show the date, time, location and call type of the incident (if located). You will not receive printed copies of individual incidents, phone audio or radio traffic recordings- those must be requested separately. If you are looking for a specific incident, but are unable to narrow down the date of the call to within a 5-day period. If you are looking for a person's name that may be associated with a call, however you have no further information as to the date, time or location of the call. A request for a name search is only valid for one name If you need multilpe names searched you will need to submit separate requests for each name. If you need a premise history search. This search will return a list of incidents to any one specific location within a set timeframe. A premise history request is valid for only one address. If you need multipel addresses checked you will need to submit separate requests for each address. Each research request includes 30 minutes of research time. If additional time is required, we will charge $50 per hour, billed in hourly increments.